What’s better than cheese? Trick question…nothing! But a big bowl of melty cheese (read: fondue) for dipping your heart out ranks really high up there for the best inventions of humankind. The days are getting shorter, and colder, and darker. Fondue to the the stomach and soul-warming rescue! A quick fondue history lesson: The Swiss have been enjoying this goodness for a very long time. Homer’s Iliad–dated from about 800 to 725 BC–even mentions chowing down on a glorious mixture of goat’s cheese, wine and flour. Sounds like fondue to me! The custom makes a lot of sense. The Swiss have a storied cheese tradition–and cheese odds and ends could easily be warmed up in a big pot atop a fire and savored during frosty Swiss winters. 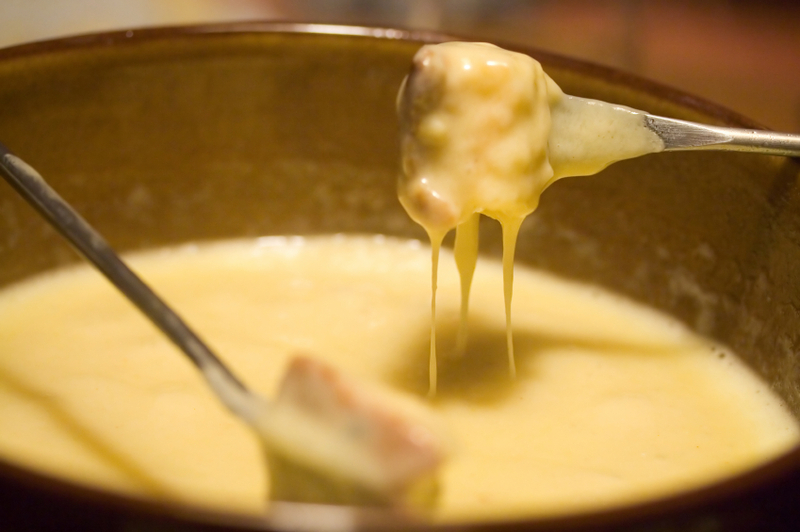 In 1930, the Swiss Cheese Union appointed fondue the country’s national dish – and the world has been gaga over it ever since. Here’s a can’t-fail recipe for classic fondue…but experiment away! Fondue is a perfect blank canvas for playing around. 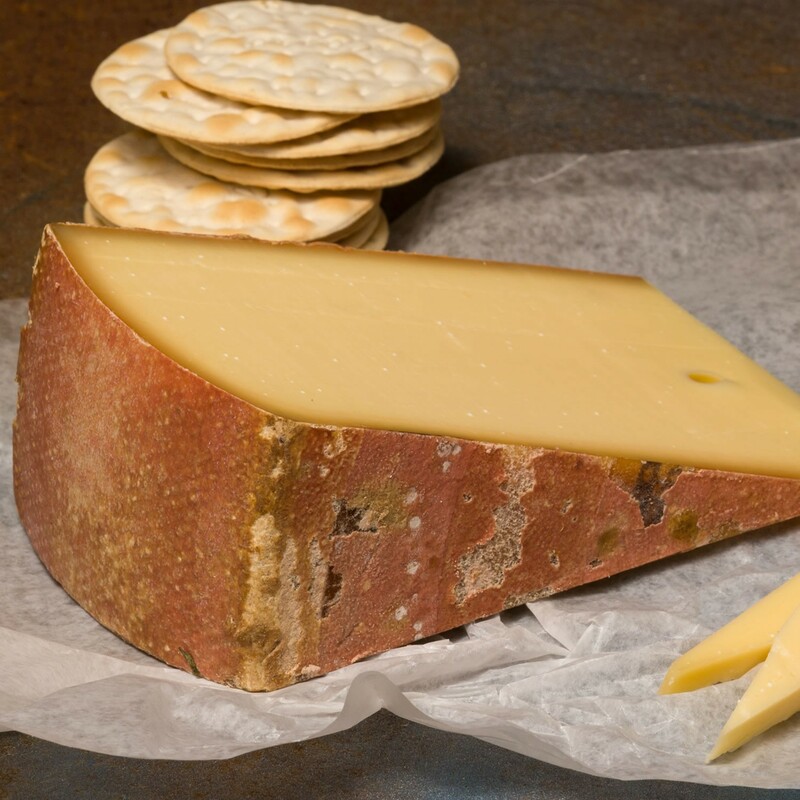 Alpine cheeses are classic choices and stellar melters, so they’re a great place to start. (Think nutty, savory Appenzeller, pictured below). Go ahead, add some kick with a little of blue, perhaps some creamy gorgonzola. Or introduce a funky note with Spring Brook Farm Reading. Dipping…so fun! Here are some of our favorite fondue vehicle. What’s yours? Crackers! Raincoast Crisps do the trick brilliantly. Salumi and cured meat. Yes to chunks of chorizo!